This weekend I had the pleasure of launching SWAPNISTA Fashion Swap Party in Houston, TX. It was co-hosted by the Houston Fashion Bloggers and held at Couture Blowout. Everyone seemed to be rocking one of the Spring Trends: Floral, Pastels and Neon. My SWAPNISTA Houston on-site coordinator Julia of Buxom Chick was a real joy to work with. I loved how she styled her floral skirt with several pops of color. She was my right hand in planning the Houston event and it made everything very seamless. She also provides virtual administrative services. Click HERE to learn more about her services. 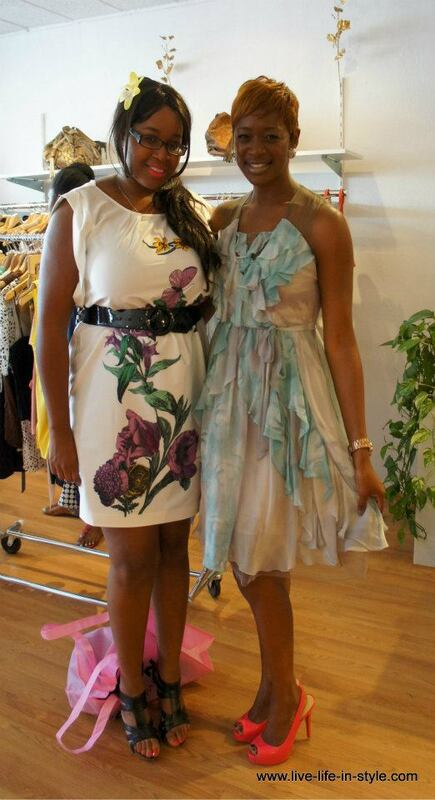 Shaisie of Live Life in Style is the Founder of the Houston Fashion Bloggers group. She wore a white dress with a large floral graphic print in the front. She founded this Houston blogging community to provide networking opportunities for Houston bloggers. And I tell you from the outside looking in, they are taking the Houston area by storm. . The lovely Amy was such a pleasure to work with. Her bright pink basic tee and skinny grey jeans, was the perfect casual outfit for the event. She was my key contact at the boutique and her assistance was invaluable. I wore my floral Tracey Reese dress and paired it with bright pink peep toes slingback pumps. I bought the dress from Couture Blowout during my visit to the store back in March. You can read about my shopping experience HERE. 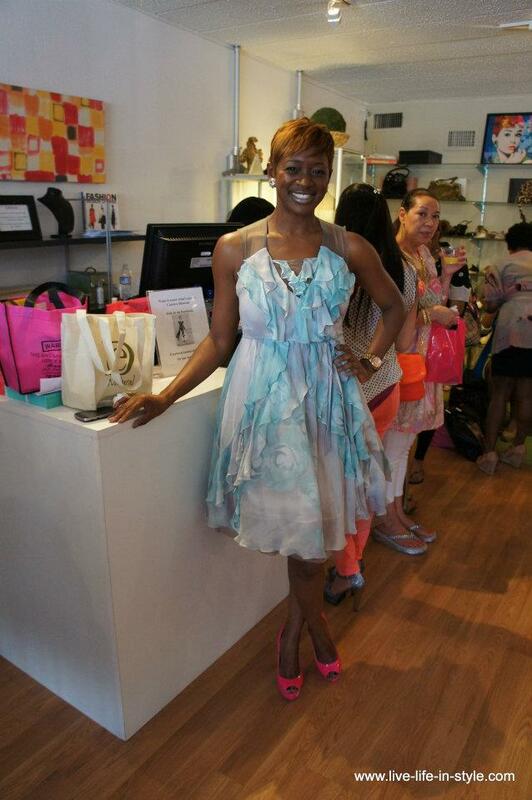 For more pictures of SWAPNISTA Houston events click HERE. If you would like me to bring SWAPNISTA Fashion Swap Party to your area click HERE to send me an email. Your dress is gorgeous. Love the pop of color from the pink heels. Hey there Kay Cee! How've ya been :) LOVING this pastel, ruffly goodness of a dress! It just floats and of course the pink shoes are fab with it!! Fun event! Feels like I haven't attended an event in ages!